Pray for the work of Habitat locally and around the world. Ask your friends to do the same. Material and cash contributions are tax deductible. Individuals may deduct expenses incurred for their work for Habitat (mileage, tolls, etc.) A tithe of undesignated contributions is forwarded to Habitat International for world wide construction use. Out of every dollar contributed 96 cents directly builds houses. These include Resource Development, Publicity, Construction, Family Selection, Family Partnership, Legal and Volunteer Coordination. Call 433-5073 to volunteer. 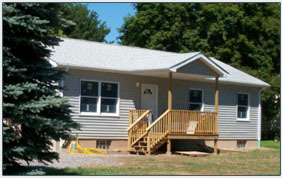 Habitat Lockport can provide printed materials and video presentations. Speakers are available for church or civic groups, to speak to individuals, etc. Call 433-5073 for more information. 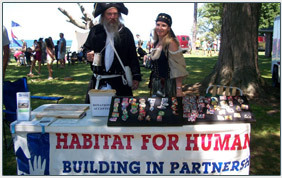 The gift of property suitable for building a Habitat house is welcome.